Although the Grand Strand may not be known primarily for its wine country landscapes and opportunities, in the last two decades, one vineyard has taken its place as the preferred wine-making and sampling locales in the Myrtle Beach area. Located in Little River, just north of North Myrtle Beach, La Belle Amie was first envisioned in the 1990s, and the first vineyards were cultivated in the spring of 1996. After a few years of crop-devastating hurricanes, La Belle Amie persevered to grow into one of the area's premiere destinations for wine connoisseurs. Daily visitors have the opportunity to take part in a sampling of the vineyard's top products from the comforts of the wine tasting room. La Belle Amie's private label wines and a variety of specialty finishing & dipping sauces, dressings, mustards & more are offered to guests. Aside from the daily offerings, the vineyard plays host to many festivals throughout the year, and one of the most popular is the fall festival known as the Dog Days Blues and Jazz Festival. All of the fun begins on September 10, 2016 at noon, and the price of admission is just $8. Receive a discount by bringing in canned food donations for the local area food bank. Enjoy a tour around the vineyard at 2:30 pm, where you can sample wine and purchase food selections. Bring a lawn chair along, so you can relax and enjoy the vibes and sounds of the live jazz performances, which will take place throughout the entire event. The festival comes to a close at 4:30 pm, so arrive early in order to get the full experience. 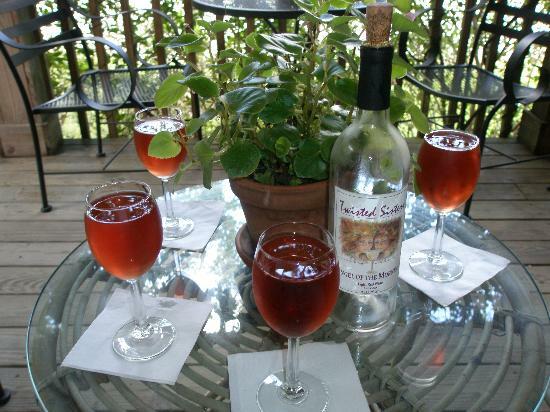 For a different kind of thrill in Myrtle Beach, stop by La Belle Amie Vineyards during your next vacation. If you're traveling to the area on September 10, make sure you make a point to celebrate wine and jazz at the Dog Days Festival. It's an experience that is sure to create memories that will last a lifetime.